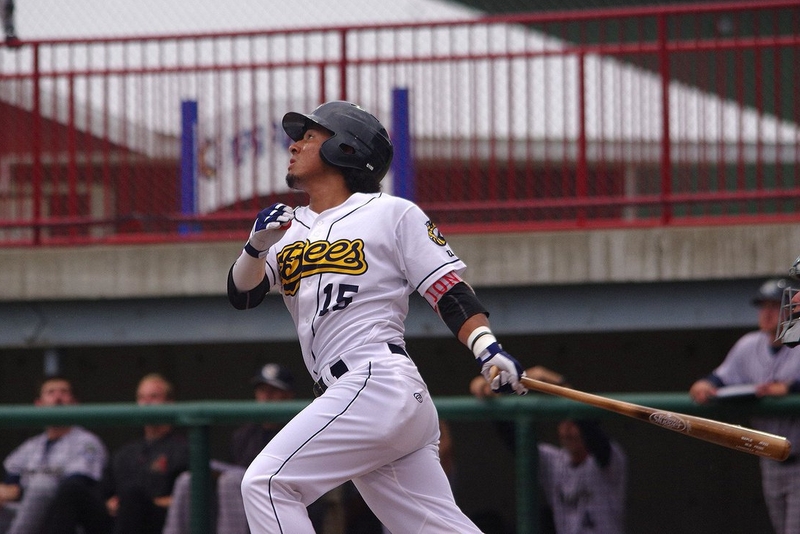 The Los Angeles Angels promoted their top prospect, outfielder Jahmai Jones, from the Burlington Bees to the High-A Inland Empire 66ers late Wednesday night. Jones batted .272 with 9 HR, 30 RBI and 18 SB in 86 games with the Bees this season. Four of his homers came in his last 10 games. He went 2-for-4 with a walk and a solo homer in his last Midwest League game. Jones also played with the Bees at the end of last season, batting .242 with 1 HR and 10 RBI in 16 games. Dayton Dragons catcher Tyler Stephenson will miss the rest of the season because of a torn ligament in his right thumb. The Cincinnati Reds prospect batted .278 with 6 HR and 50 RBI in 80 games with the Dragons this season. He also played for Dayton in 2016, which was an injury-plagued year for him. He batted .216 with 3 HR and 16 RBI in 39 games with the Dragons last season. This entry was posted in 2017 All-Star Game, Burlington Bees, California League, Dayton Dragons, Inland Empire 66ers, Midwest League. Bookmark the permalink.